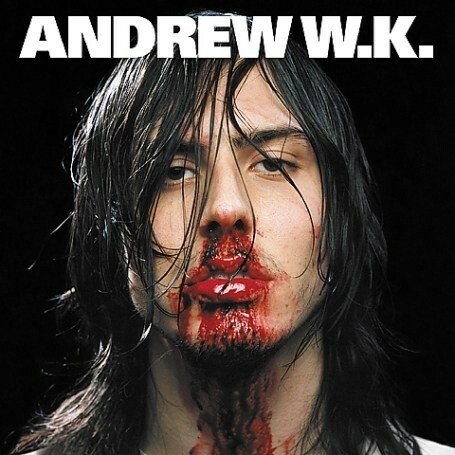 12 O'Clock Track: Andrew W.K., "It's Time to Party"
The dude also has a real knack for injecting his infectious energy into the creative pursuits he undertakes offstage—the video for "It's Time to Party," which is today's 12 O'Clock Track, makes a fine example. "It's Time to Party" is a fun, straightforward pop-metal number, and it helped W.K. establish himself as rock's preeminent advocate (and master) of, well, partying. Its goofy video demonstrates how Andrew W.K. spreads his gospel, converting mild-mannered bystanders into overjoyed disciples. He put together the video rather recently, to celebrate Century Media's tenth-anniversary reissue of his brilliant 2001 album I Get Wet, which kicks off with "It's Time to Party." Watch it below—or, if you're like me, watch it several times below . . .